A cashier asked Lilly if she would like to bag their groceries last week, and it made her day. 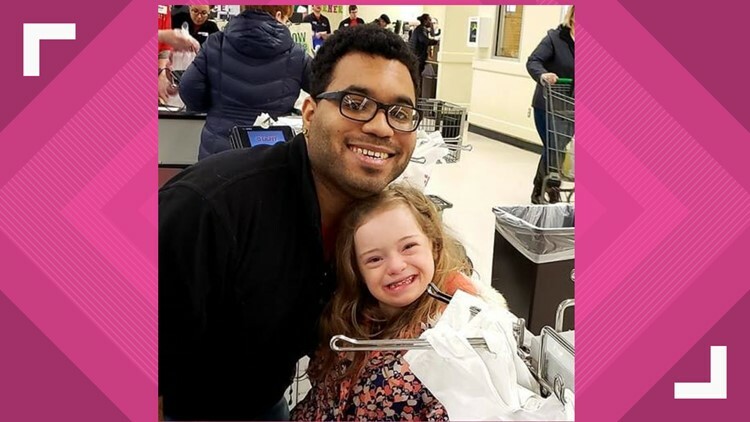 A Pennsylvania mom is thanking a cashier at her local supermarket for helping make her daughter’s day. Lisa Teach took to Facebook to post her gratitude to a cashier named Isaac at her local Giant Food store. Her daughter, Lilly, has special needs but she's also spunky, funny and outgoing, her mom said. One of her dream jobs – besides being a doctor and teacher – is to bag groceries. Isaac Witte, the cashier, asked her if she would like to bag their groceries last week, and it made Lilly’s day. "I looked at him and said, 'you have no idea what you just asked her ... she's going to love this!'" Lisa said. In the heartwarming video that went viral, you can her Lilly telling Isaac how much it meant to her. “You’re the best,” Isaac responded. The sweet moment really moved her mom and Isaac. "To be honest, I also have a disability," Isaac said. "So I kind-of figured since ... no one had given me that opportunity when I was younger I thought, 'well, why not?'" Isaac has worked at the store for two years. "It was a very emotional moment," Isaac said. "I had never had that kind of moment before." Lisa said they went back to the Giant a few days later to give Isaac a thank you card and the staff asked Lilly if she would like a job there when she's 16. They made her a name tag and let her scan some items. "She was in her element, she was scanning and scanning," her mom laughed. "They talked a little to Isaac, who really is the hero of this whole story." "He just took a moment and he made it a huge moment for her, you know," she explained. "It doesn't matter if you have a disability," Isaac said. "It just warms my heart to, you know, make this little girl's dream come true."